According to the different ways to make aggregate, there is dry-type sand making process and wet-type sand making process provided. And sand making machine is different from the other because of different processing methods. The dry-type sand making process is better because the environment in Xinjiang is pretty dry. So what are the advantages of dry-type sand making process? The dry-type sand making process frees from water and surroundings, and it can work although in the dry season or districts. On the contrary, wet-type sand making process must work with plenty water or it is difficult to wash the sand and then the final products will be mixed with impurities. The dry-type sand making process can help customers reduce costs because the cost of water is reduced. For the wet-type sand making process, some materials will be washed away when washing the sand which results in the waste of mineral resources. 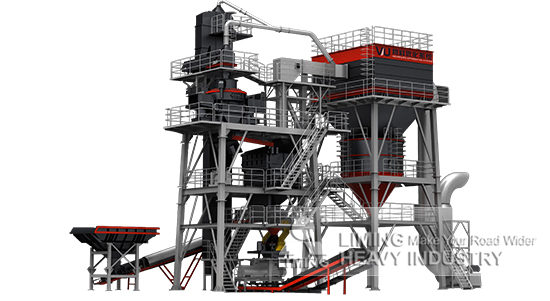 Final products with lime powder and clay improve the quality and grading of sand in the dry-type sand making process, which are quality construction material. In conclusion, the dry-type sand making process with advantages of large capacity and less investment is economical and practical for Xinjiang.